Wandee Media Company Limited has been established since 2016. Our main expertise is in film production and creative TV shows. Our first feature movie is Senses from Siam. Wandee Media has been well recognized among Thai and foreigners so far. Our mission is to be the preferred production house for entertainment with all things related to the culinary arts. Our plan is to produce feature films, documentaries and TV shows annually. The Wandee Media Company is a production, exhibition, and event organization committed to promoting the culinary arts worldwide throughout all entertainment channels. 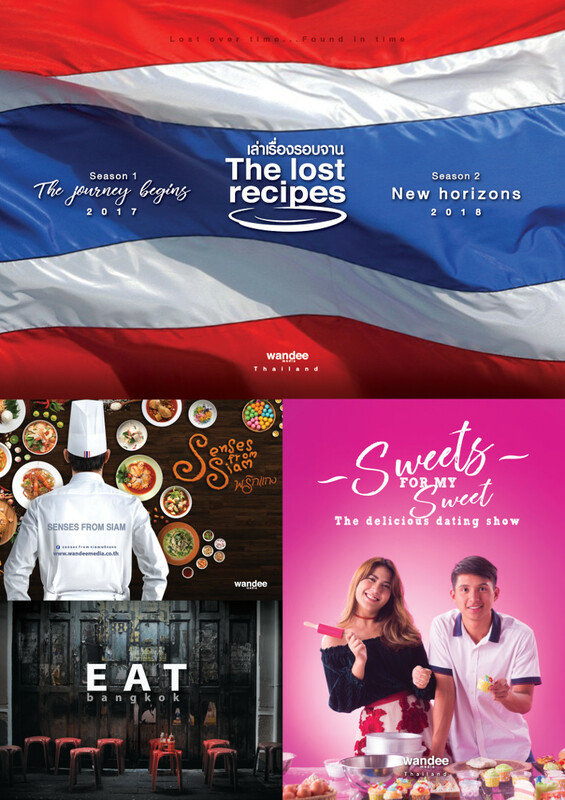 The Wandee Media Company aims to be a catalyst for the entertainment industry in Thailand that engages local uniqueness, supports communities, and expands the appreciation of culinary arts on the screen. - INDEPENDENCE : this enables us to make processes rapid, autonomous and with a high degree of freedom with all our decisions and actions.